How about some weapons for these airships? maybe the ability to drop bombs? Hello there! 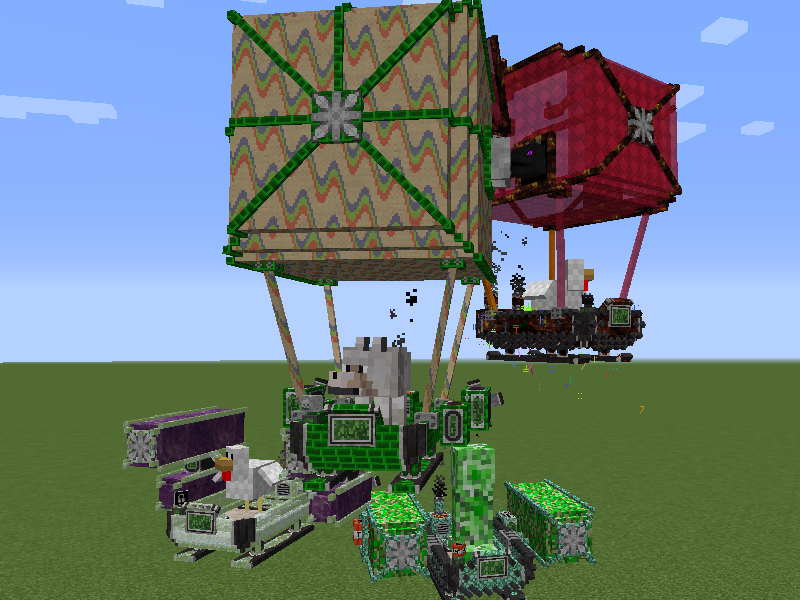 I decided to made a bomb dropping module for my next update. :) Fun on a bun! Currently running a small home server and I cannot get logic chips crafted in survival mode (they show up in creative). Every video I've seen shows a crafting recipe of 3 gold nuggets laid across the bottom (one in each bottom slot), with a redstone sandwiched between cobblestone on the middle row. Can't get it to craft in either the normal or aircraft workbench. I'm using the newest mod version and running 2555 forge. Also, the airship workbench recipe shows incorrectly inside of the in-game book. I had to switch out to my external browser to get the proper recipe (ingame book shows that you need logic chips to build the workbench). Ended up just reading the .json for the recipes. Roughly half of them are incorrect in the in-game manual. I will be going through everything for my next update. Thank you for letting me know! Heya! Issue with the modules of efficiency! (or is it infinite fuel? whichever is 23 and 24) they don't have names! I see it is for both, left our the names in the language file. lol I will include that and push an update out later today when I get home from work. Thanks for the heads up! You didn't exactly waste the material, but maybe. lol A lot of people didn't like making things through my crafting table so any of my airship items can also be made with the vanilla crafting table. you can still use my crafting table as it will hold your items and looks different, but yeah. The recipe is changing in the next update I am working on. I have a small request for mapmakers/people like me who mess around. Can you make your ships have health? I want to be able to play with my friends in the sky, shooting one another down hehe. I have been considering this since I first made my fuel system in the mod's infancy. 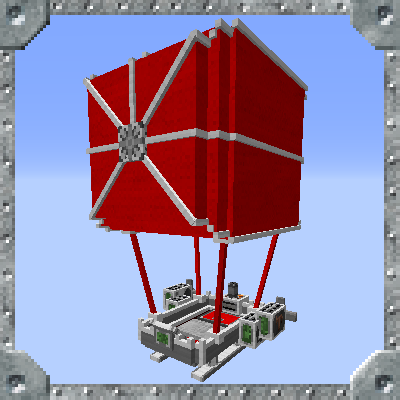 The issue I had was when trying to convert airships back to items. You either had to use an item or literally kill your airship. I wanted to implement an armor system to work with this, but just never been able to come up with a design I liked. I am doing a rewrite of my mod currently, and have set things up so that if I do come up with a design I like, there would be a foundation to make it happen. Are the air ships on servers meant to despawn within a few mins? I was in the chuck and I was getting sick of losing my fuel when packing it away lava gave me 16 mins fuel but I lose it when I pack it up, so i left it out house I build it's landing place to protect from mobs and all that resources I used to make it wasted as it just want, gone despawned. The airships should not despawn at all. I keep mine out all of the time in my server. I did notice one thing, if you are messing around and shoot the airship with an arrow, or if a mob does, it will automatically go back into item form and over time will despawn if not picked back up. What version of the mod are you running? Feel free to PM me about this. I will happily help out. One of the great Minecraft mods, IMHO; it's just so much fun and fits in nicely with the base game. Can you help with a question - I'm trying to write a script to add an airship to player inventory on world-start, but cannot figure out how to select the TYPE of ship. However, I cannot figure out what tags (etc) are needed to identify a specific type of airship (ie. quartz). I tried to decipher the JSON files in your mod - but am not experienced enough to figure them out. Any guidance on tags (etc) for the different types would be very appreciated.